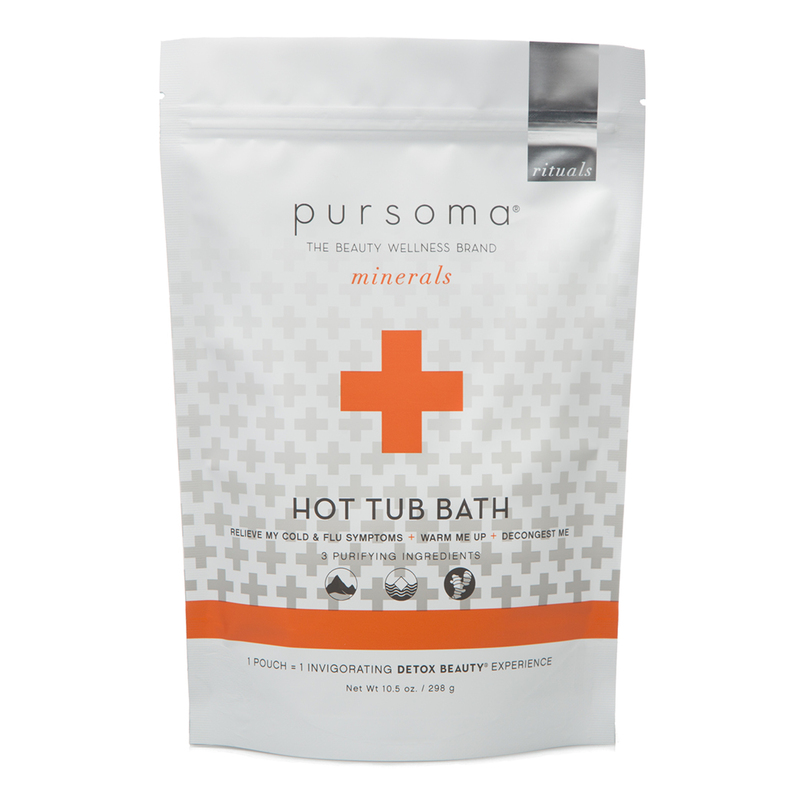 The Pursoma Hot Tub Bath is a 1-day cleanse package full of remedies designed to lend a feeling of boosted immunity. 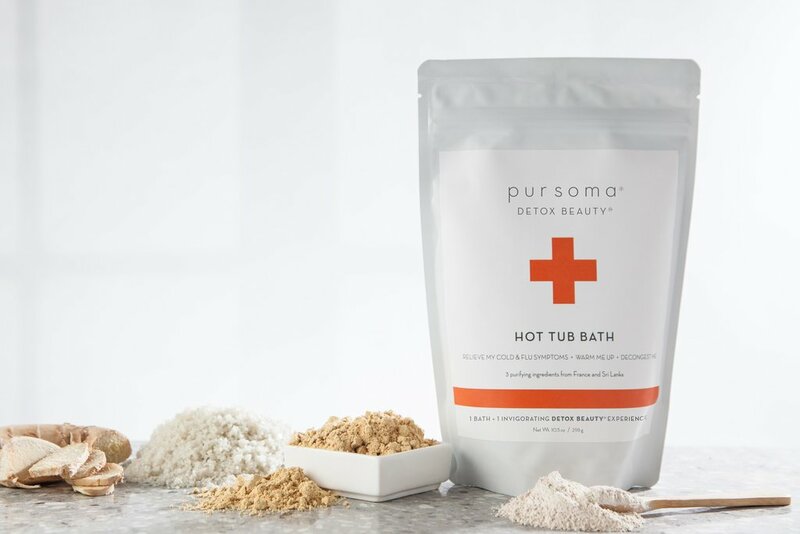 French green clay, French grey salt and organic ginger are combined to create a warming and detoxifying feel that will promote a sensation of stimulated circulation. It is the ideal treat for you or a friend at the onset of cold or flu-like symptoms. As a pre- and post-bathing ritual, drink 8-16 ounces of purified water to stay hydrated. Fill your tub with warm water and add sea salt packet, stirring with a wooden spoon to fully dissolve. Hop into the tub and add the clay and powdered ginger mixture. Stir bath to fully dissolve clay. 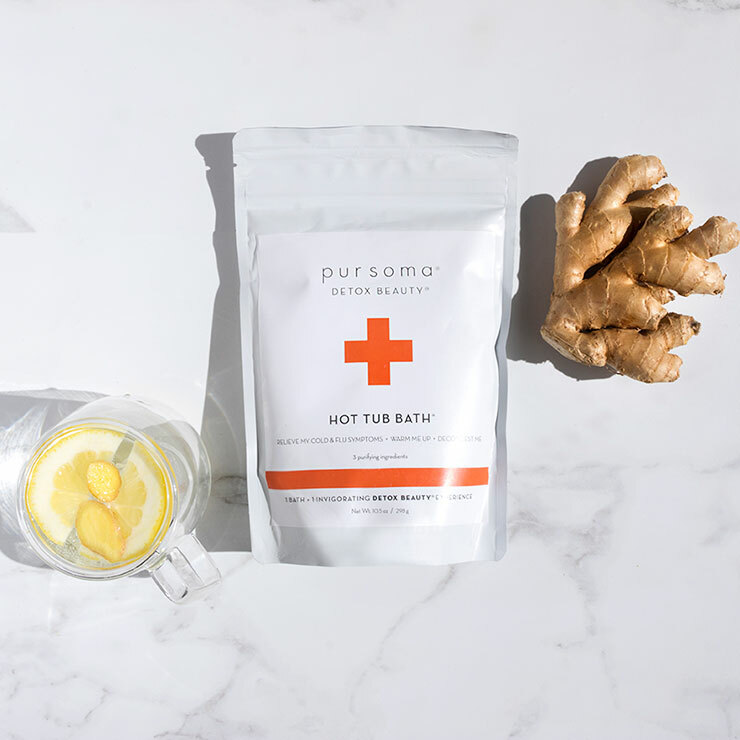 Soak for up to 20 minutes, immersing your body and keeping water at a consistent temperature. Relax while the minerals and spice go to work. Lightly rinse off clay and pat dry but don’t shower. Immediately wrap yourself in a towel and “Sweat and Rest” under a warm blanket for 15-30 minutes. Relax or sleep. For best results, use once a week; may be used more frequently as desired.